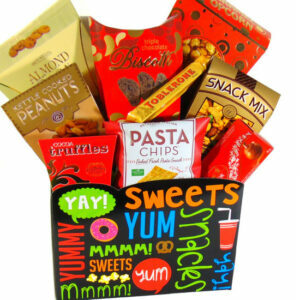 Gift Tower Bear Love Gourmet Gift Basket Toronto. Gift Tower Bear. 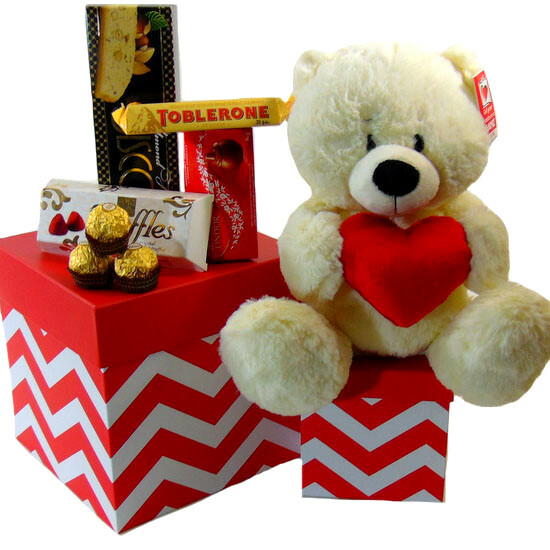 Red Heart Bear Love gift box filled with white Ganz bear hugging a big heart and chocolates to send your loved ones. Gift Tower Bear contains: Two Red and white gift boxes. White Ganz bear hugging a big red heart. Ferrero Rocher chocolates. Toblerone chocolates. Lindt Lindor Truffles. Biscotti. French chocolate Truffles. Send your message with gift box: Love You! Sorry! Miss You! Get Well Soon! Happy Birthday!